Prominent & Leading Exporter from Delhi, we offer duct grey tape, duct tape and rfid tape. 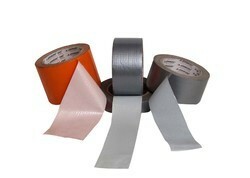 We manufacture of Duct Grey tape in India. we provide this tape in good adhesive quality.and also used HVAC industries. We are manufacturer of Duct tape in India. we provide this tape in good adhesive quality.and also used HVAC industries.